Where Can I Find Calm? 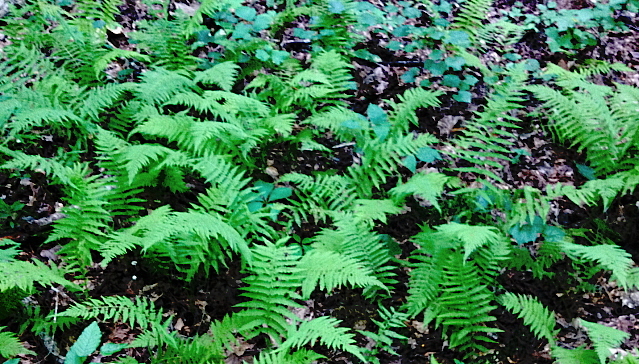 The ferns replace a fallen oak and make a home for an acorn to sprout. A slow walk in the woods seems to heighten our senses, enhancing our awareness of the surrounding beauty. We can see the forest and the trees, the giant oak and the lonely mushroom. Where a stately tree once fell, the breezes have distributed microscopic fern spores. I guess there’s a message there, but I really don’t know what it is. If you can’t walk in the woods, then lean back, close your eyes, imagine solitude, and go there. You probably won’t see the animals—but they will see you. Previous Can You See it? Next Can You Find The Light? I love the grace in “I guess there’s a message there, but I really don’t know what it is.” I have moments in a day when I feel that it is sacred, but I can exactly pinpoint why. Maybe the point is that I simply honor the sacred. Maybe it’s okay that I don’t know why. Thank you for this.